In SAT preparation you never limit your learning to a certain parameter. Moreover, your learning curve does not end at a certain point. Thinking differently and working out solutions independently is a sign of maturity and growing intelligence. A few tips below accelerate you to top range scoring. Have a vision that motivates your goal. Be helpful to co-student’s during training. Do not yield to pressure. The trainers offer freedom while training so as to get over the dependency factor. Learning how to study for SAT test-prep is what the trainers teach the student’s. They not give unnecessary stress and make you to commit more mistakes. They give useful tips and strategies to raise your scoring to top range. The vast vocabulary of words are learned from continual usage. Learn from context: it will remain in memory for a long time. Your training begins with how to use words that are used in present day English language in a global environment. You must pay close attention to grammar and sentence formation. The training offers different ways of study material that builds great confidence in taking the SAT test in a relaxed manner. These include Video Tutorials, PPTs and much more. 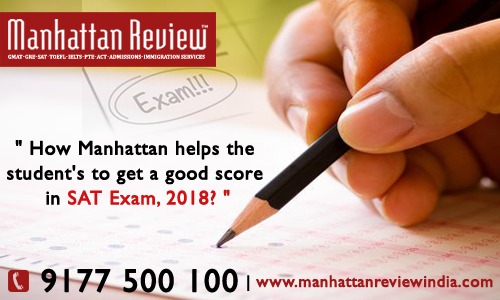 The main aim is to help you to recollect what you learned in class as well as afterwords till the SAT examination is taken. From time to time the curricula is refreshed. Repeat the mock tests taken a week earlier to see if you have improved your score. It is recommended that the parents should know about the SAT test. The revised SAT test is made easier. A random sample collected by the College Board says that the test is hard. Math is all about speed. It is a simple trick on how well you understood algebra, geometry, trigonometry and statistics in high school. It is not about how well you understand Math. For example: take a mock test three times and you will be able to complete it on time once. Fasten your seat belts, take up the challenge and go through the SAT test in a positive manner. The big score that you get will help you in going to the university of your choice.